These are manual weighing scales commonly used all over India by small shops to weigh fruits and vegetables. These are used for weighing other things too, like raddi or old newspapers and magazines or any old thing! Street vendors usually use these manual weighing scales. 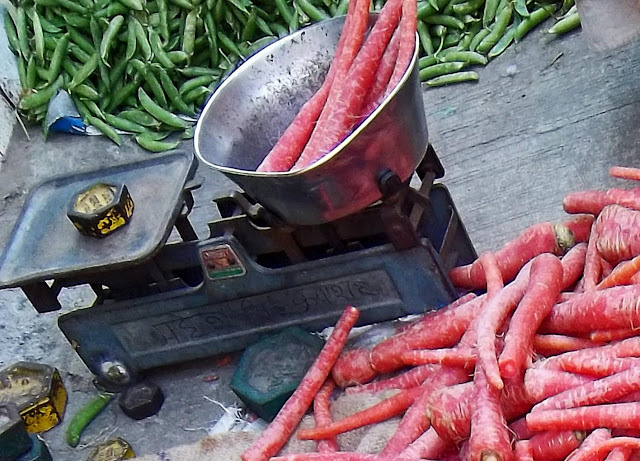 This is a picture of carrots being weighed on a manual scale in a local market.